For all those potato skin lovers out there, check out my loaded potato skin dip. A skillet full of potatoes, bacon, chives, sour cream, and lots of gooey cheese! Loaded Potato Skins are amazing! 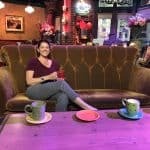 The weekend is rapidly approaching and people will start gathering at their local watering hole having cocktails and appetizers. My favorite pastime if you will. One of those classic appetizers is loaded potato skins. 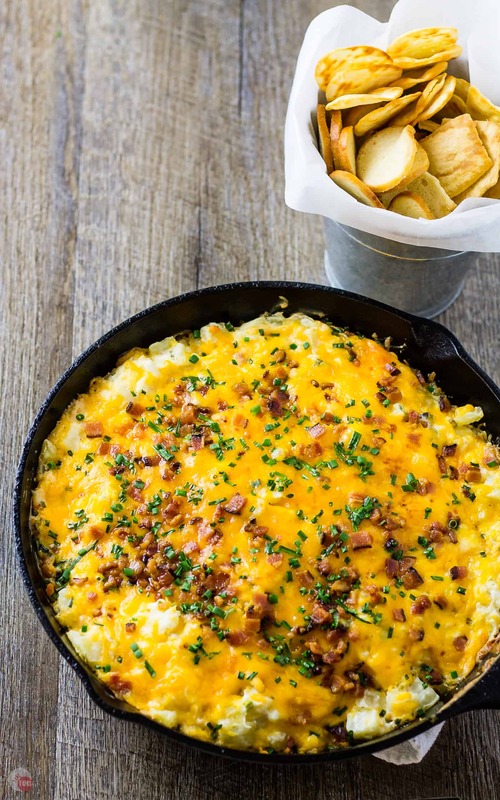 How about all the cheesy goodness of them loaded into a skillet for dipping? I give you my Loaded Potato Skin Dip! No one can resist cheese, can they? Well, maybe if you are lactose-intolerant but I have no willpower when it comes to cheesy appetizers. And the most powerful of those appetizers is the loaded potato skin. Much like my Frito Pie Dip, I want to inhale it! 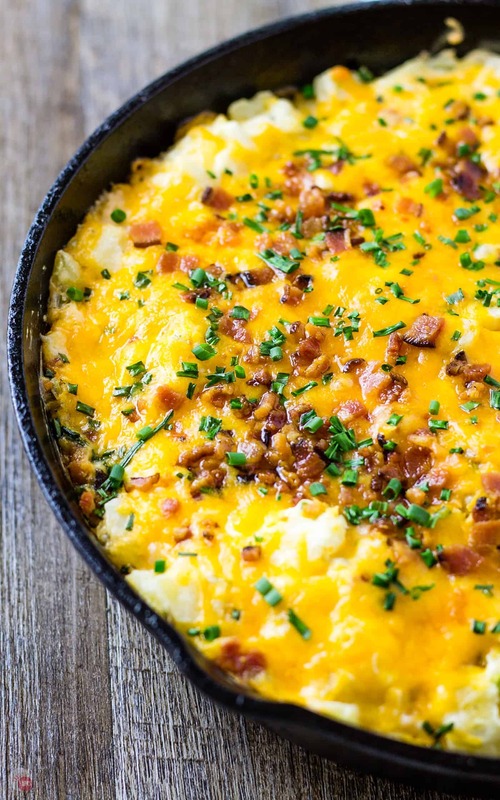 Let’s talk about potatoes with cheese and bacon! My loaded potato skin dip helps to keep my portions low while still enjoying all the delicious aspects of it. You may ask how does that work if I am sitting in front of a 10-inch bubbling skillet? Sharing! 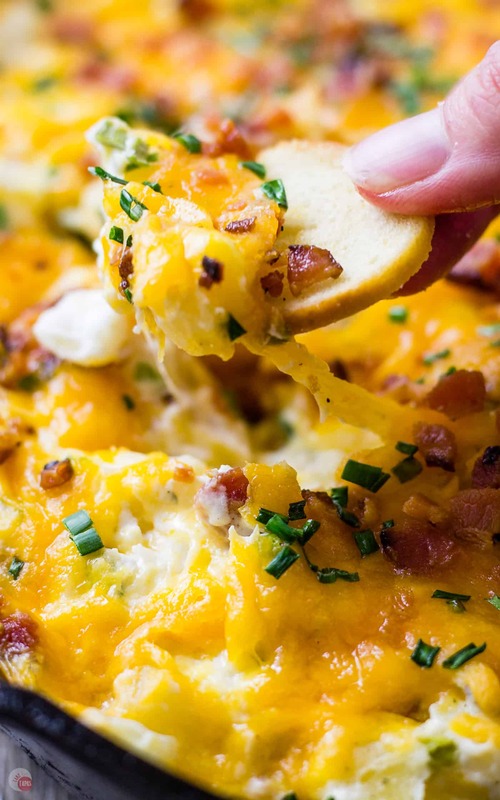 When making a Loaded Potato Skin Dip, sharing is implied. Notice I didn’t say mandatory, just implied. And I am also ENCOURAGED to share with others due to the sheer size of all that dip. The best part of this Loaded Potato Skin Dip, besides eating it, is how easy it is to throw together. Want to know what makes it so easy? Frozen potatoes! When you make loaded potato skins you have to boil the potatoes, cut in half, scoop out the center, add the ingredients, bake them, and then you get to eat them. 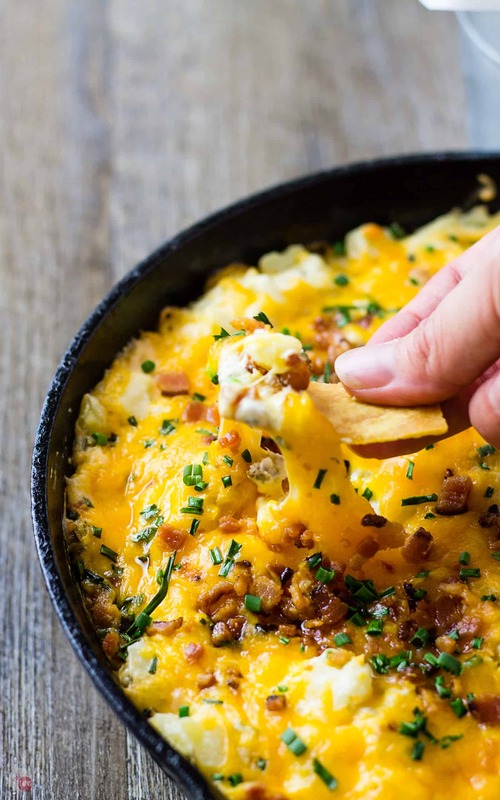 Using frozen potatoes, that are already cooked and diced, takes out all the hard work and has you eating this dip faster than loaded potato skins can! Try out this skillet too! I need to get a few more so I can make more than one dip at a time. I hate when I run out of skillets because I have them full of other dips like my Poblano Popper Dip. 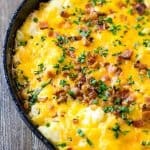 Or this Loaded Hasselback Potato Skillet Dip! Sitting on my couch while home-gating, I probably wouldn’t make this but heading to a party where there are more than 2 people I will definitely bring this and some chips. Forget all the work it takes to make potato skins and throw together this Loaded Potato Skin Dip that you can bake now or later. Perfect for tailgating! Cream together the cream cheese and sour cream. Add to the mixture 2 cups cheddar cheese, the green onion, bacon, shallot, and potatoes. Scoop the mixture into a 10-inch skillet and spread out evenly. Top with 1 cup Sharp cheddar cheese. Bake at 350F for 20-25 minutes or until the sides are bubbly and the cheese is melted and starting to turn a golden brown. Serve with your favorite chips but make sure they can hold up to this thick dip. I use bagel chips or pita chips for this reason. Oh my Gosh! Wonderful recipe that I can’t wait to try.